Our Vegan Brow Define Brush is the perfect multi-function brush to fill in and define your eyebrows with ease. 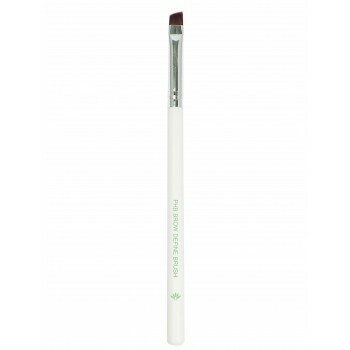 the perfect tool to use with PHB Pressed Mineral Brow Powder! Stroke minerals onto the brush. Apply to brows in soft sweeping motions, following the natural hair line. Apply colour along the lash line to line the eyes.